Chicken lasts indefinitely in the freezer because the cold temperatures prevent bacterial growth. 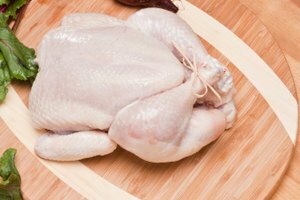 The safest way to defrost a chicken is in the refrigerator, but this can take several days. 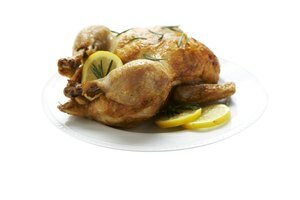 If you want to make a chicken dish tonight but the chicken is still frozen, you can defrost chicken in cold water or in the microwave. 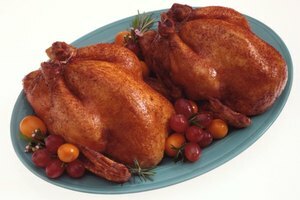 Chicken defrosted in cold water or in the microwave should be cooked immediately. 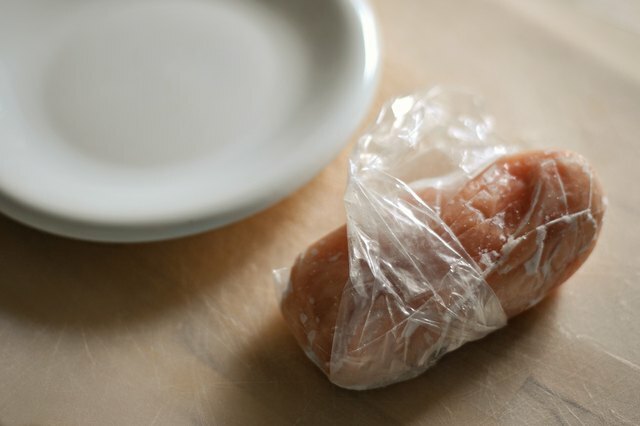 Keep chicken in its packaging or place in an airtight bag. Fill a large bowl with cold water. Submerge the chicken completely in the bowl. Pour out the water and refill with cold water every 30 minutes. Depending on the size of the chicken, it should defrost within one to three hours. Cook chicken immediately after defrosting. Do not store it in the refrigerator. 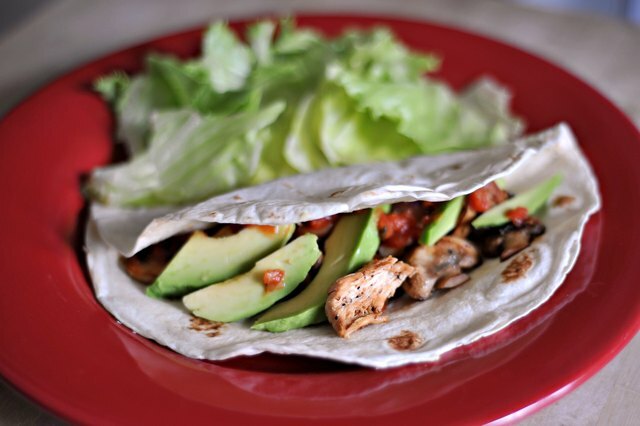 Remove chicken from its packaging and place on a microwave-safe dish. 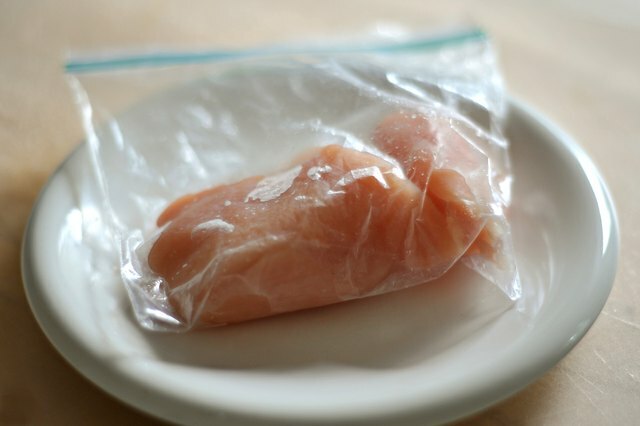 Do not defrost chicken wrapped in plastic or on a foam tray. Break chicken parts apart as much as possible. Choose the Defrost setting or set the microwave to 30 percent power. 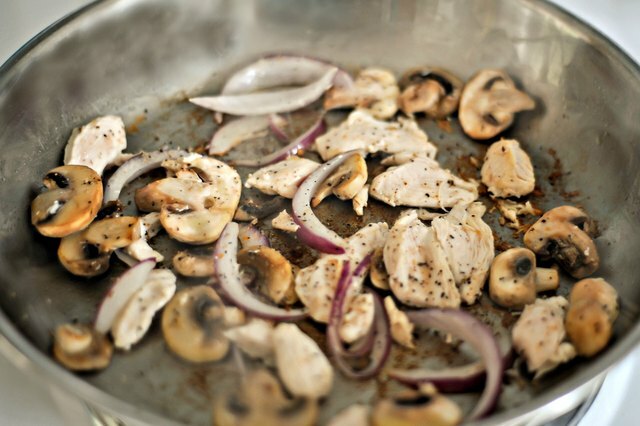 Defrost the chicken in five-minute segments. Rotate the chicken in between each segment. 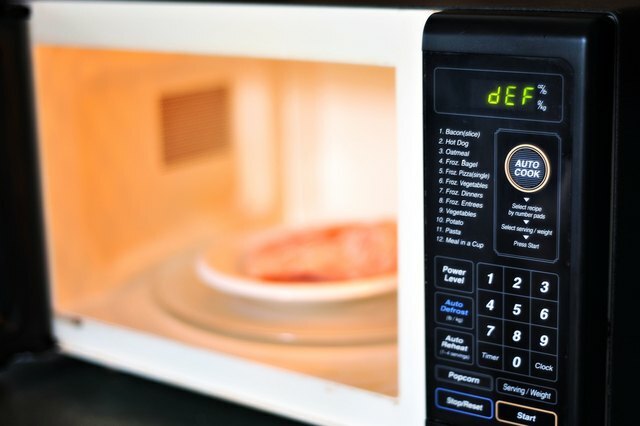 The total amount of defrosting time depends on the size of the chicken and your microwave oven. You can also skip defrosting and cook frozen chicken, as long as you're cooking it in the oven or on the stove. 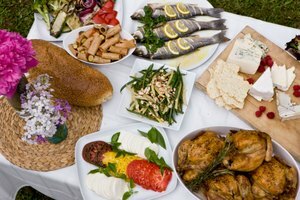 It will take about 50 percent longer to cook. 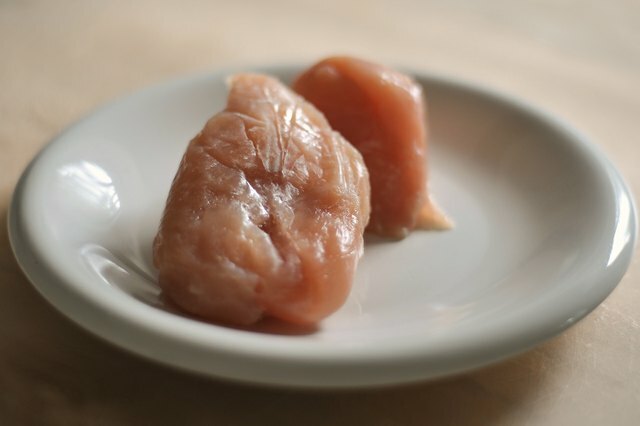 Don't cook frozen chicken in the microwave or in a slow-cooker. 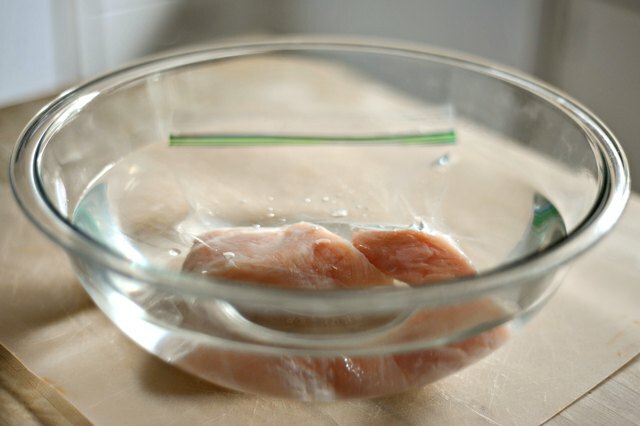 Never defrost chicken on the counter or in hot water, because this encourages bacterial growth. 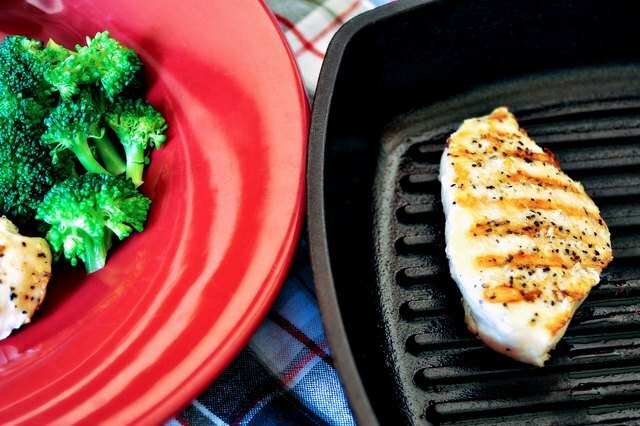 Always use a food thermometer to check that chicken has been cooked to 165 degrees Fahrenheit before serving.